Cal Aggie Christian Association began in the spring of 1916 when a petition of seventy students led to the establishment of the University Farm YMCA. When the “Y” became coeducational in 1924, its name was officially changed to the Cal Aggie Christian Association (CA House), and established partnership with local Presbyterian, United Church of Christ, and United Methodist churches. In 1955, the Russell Boulevard property was acquired by the Presbyterian Synod of the Pacific for Cal Aggie Christian Association’s use. Over its hundred years of history, CA House has served as a hub for spiritual development, community, social justice, and sustainability, while also building an essential bridge between three autonomous entities: the University, the city, and the Church. CA House has a rich and vibrant history of working on the forefront for social justice. In 1963, Cal Aggie Christian Association organized a busload of ministers, faculty, students and community members on a trip to Selma, Alabama for the Martin Luther King Jr. march on the state capitol. During the Vietnam War, CA House was the meeting-place for a collection of Vietnam “war resisters” and supporters, and provided draft counseling to young draft-aged men. CA House collaborated with Cesar Chavez and the United Farm Workers to participate in a tomato strike in Yolo county. Additionally, CA House was home to the first Black History course offered in the city of Davis, as well as a groundbreaking feminist group called Alternatives in Birth Control (ABC). 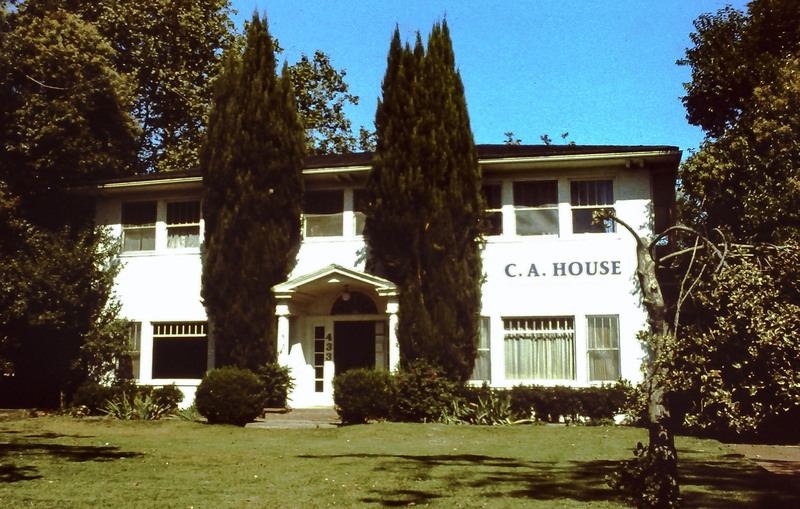 In the nineties, CA House was the first Christian organization in Davis to affirm the full inclusion of the LGBTQ+ community in the life and ministry of the Church. More recently, CA House took a leap into interfaith work in the Davis community by founding the Multifaith Living Community in 2008. Six townhouses were constructed on the property, where students of all faith traditions and belief systems could call home. To this day, CA House continues to aspire to be a safe place for students of all backgrounds, convictions, and walks of life, while providing a place that walks alongside students as they work for justice in our world. As we celebrate one hundred years of inclusion, activism, and transformation, we hope that you have the chance to stop into our house on Russell, participate in some of our programs, and be a part of a diverse, unique, and growing community!